Judith Keim, a member of RWA since 1996, is not only a member of STAR but of CBC, the RWA chapter in Boise, ID, where she resides with her husband and long-haired dachshund, Winston.? She visits Florida from time to time and enjoys being a part of STAR, where she?s learned so much about the business of writing. ?As J.S. Keim, she has written and published four children?s middle-grade fantasies. But her true love is writing about strong women facing challenges and finding love and happiness along the way. 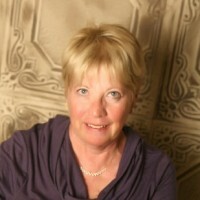 ?Writing as Judith Keim, she has published five adults novels successfully with many more stories on the way. Readers of the Hartwell Women Trilogy have asked for and will receive a fourth novel and readers of Breakfast at the Beach House Hotel and Fat Fridays are asking for sequels, which she plans to do, along with other stories whirling in her head. ?She also has a story published in Belle Books? Mossy Creek Series ?A Summer in Mossy Creek? and a story in Chicken Soup to Inspire a Woman?s Soul. ?Visit her website at www.judithkeim.com. She also can be found on Amazon, Facebook, Twitter@judithkeim and LinkedIn. Come say hello!